When a email popped into my inbox about a pastel themed competition StyleFruits were holding, it was one I simply couldn't resist entering. With killer prizes to be won. Hello... Michael Kors (dream shade of) blue bag, Marc Jacobs Purse and candy-coloured Ray-ban Sunnies. How could I not enter?! As a self proclaimed 'pastel-addict' and regular 'ice-cream colour' wearer- yep looking like a 'neapolitan' has become a specialty of mine. 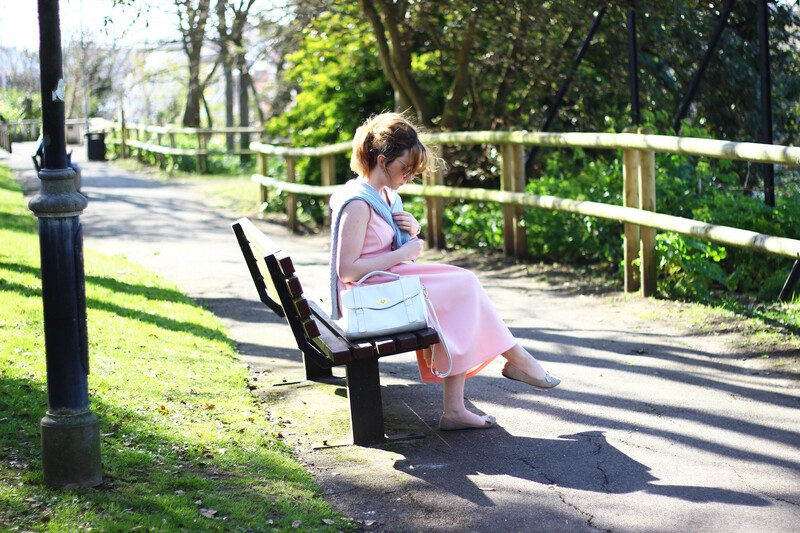 I dug out some of my favourite pastel coloured pieces, from the 'archives', to style my very own "Pastel Me Pretty" outfit. 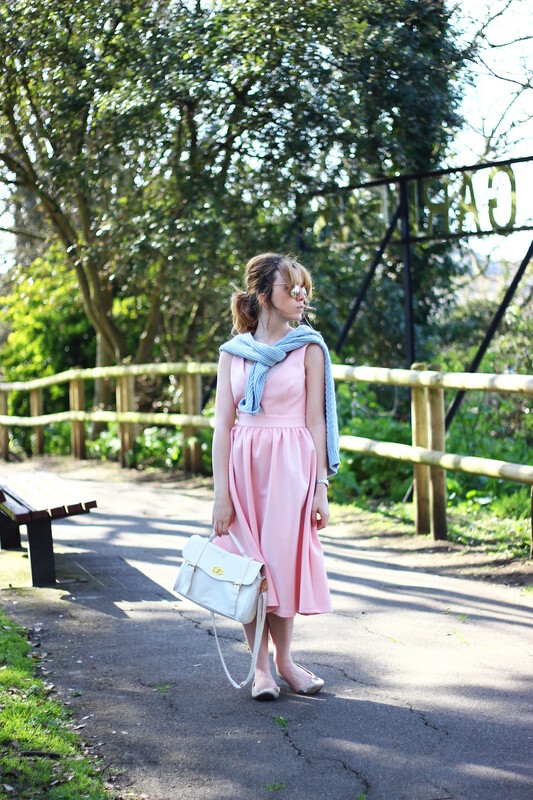 For the occasion, out came this asos 'prom style' dress, which has that 50's retro vibe that I adore. 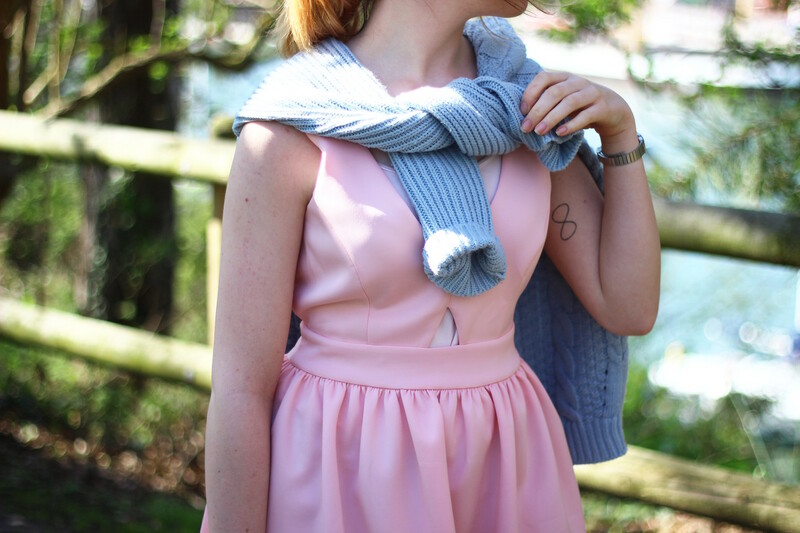 Despite the sunny weather, it was still pretty cold (and windy), so I decided to pop on this gorgeous shade of blue jumper- a similar shade to that Michael Kors bag, over the shoulders for a easy 'effortless' cover-up. As this whole outfit screamed 50's, I simply couldn't resist topping the look off with those cat-eye sunglasses. Which if you can tell, from looking at my previous outfit posts, have become my preferred choice of eye-wear as of late. I just can't resist those mirrored lenses and pale pink frames. 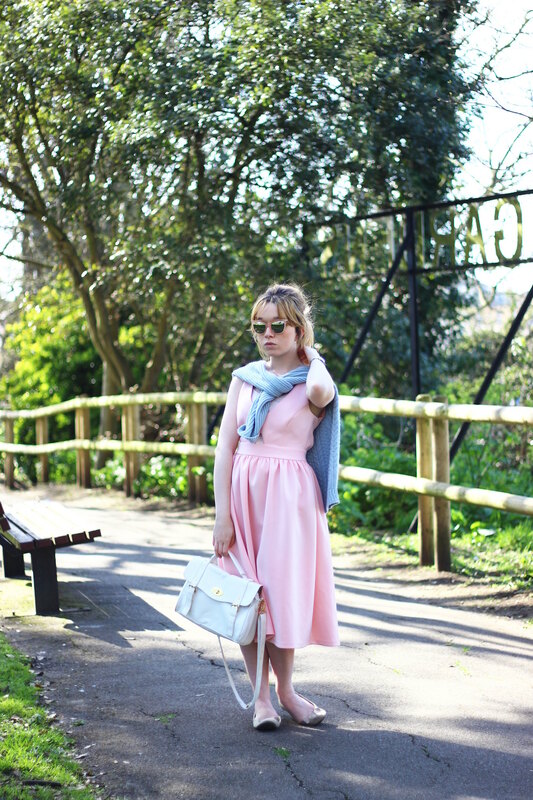 Don't forget you can vote for my look here, as I would really appreciate all your votes! 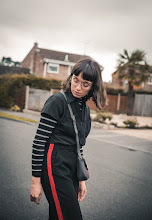 P.S .The Company Style Blogger Awards are now in full swing, and it would mean the world to me if you enjoy reading my blog and would nominate me for the 'Best Personal Style Blog' here. Thank you so much, again, if you do!